Denise Brotherton was promoted to captain after over two decades of service to Iowa City. Brotherton is the first woman to fill this position and looks forward to her new role and responsibilities. Captain Denise Brotherton is interviewed by the media on Wednesday, Sept. 12, 2018. Capt. Brotherton is the first female captain of the ICPD. 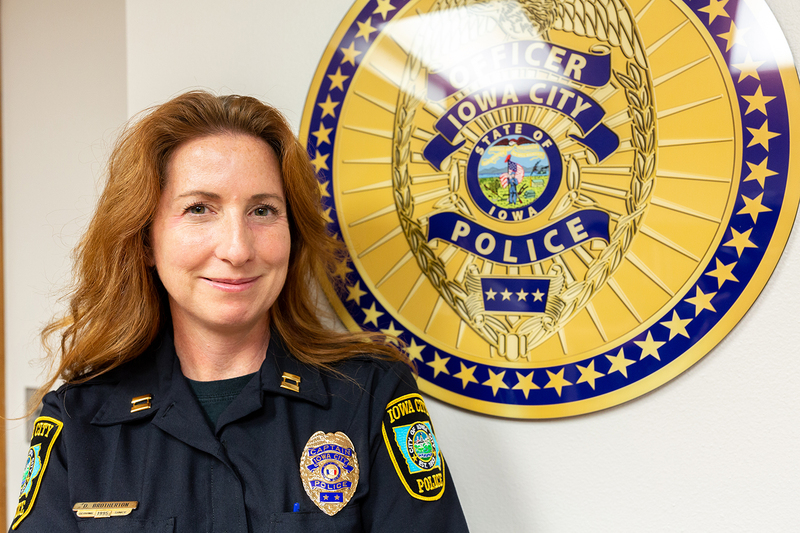 After more than two decades of service to the Iowa City community, Denise Brotherton has been promoted to the rank of police captain. Brotherton was the first female lieutenant in the department’s history, and as of last month, she is now the first female captain as well. 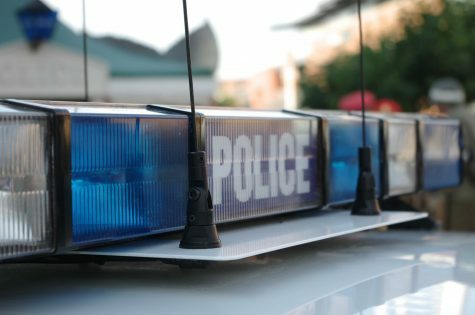 Brotherton joined the force in 1995 and attributes her outlook on policing and decision to join to her upbringing and past encounters with local police. After rising through the ranks, she has been selected to continue as captain. Frank said he is enthusiastic about working under Brotherton. Brotherton said she is excited about the change of pace from her previous positions. She spent most of her career as a beat officer, going out on patrol and helping people in the community day-to-day. Now, she is on the administrative side. While Brotherton will fill many new roles in the department, there is one aspect of the job she particularly looks forward to. Animal services is a subsidiary of the police force. It works under the umbrella of, and hand-in-hand with, the police. 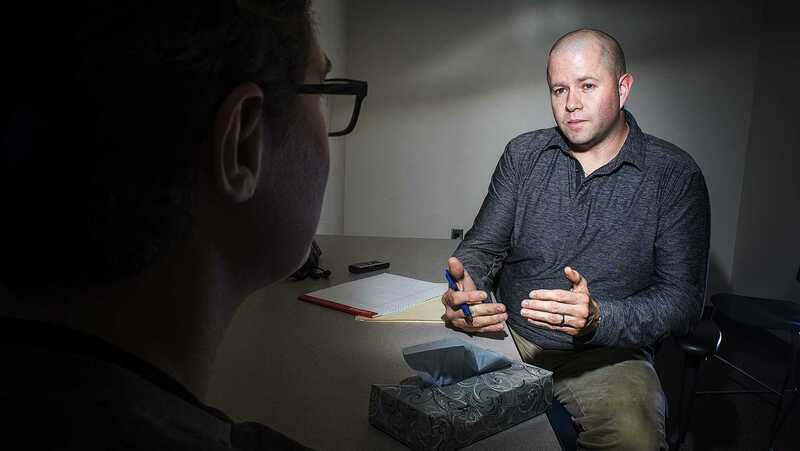 Animal services Officer Chris Whitmore, who has worked with Brotherton for around 20 years, looks forward to Brotherton heading her department. Whitmore said Brotherton is always around to lend a helping hand, regardless of her position on the force. Brotherton is still settling into her new role and responsibilities, but she is ready for the work she will do in the Iowa City community.